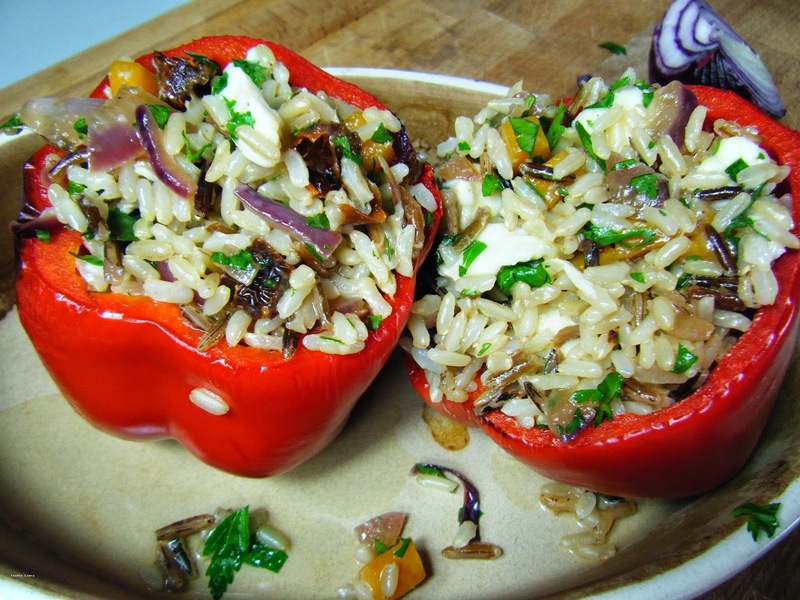 Stuffed vegetables seem to float in and out of food trend favour and I'm guilty of forgetting about these wonderful blistered red peppers stuffed with wild rice and mozzarella. It was the Betta Living competition for National Vegetarian Week (19th -25th May) that sparked my memory. My mother is a vegetarian so growing up we had no shortage of fabulous meat free meals. I don't tend to make the distinction of labelling a recipe as vegetarian, this one just happens to have no meat. It doesn't need it, the rice is filled with colourful vegetables and the secret ingredient, vodka soaked sun dried tomatoes. Unlike many blush tomatoes in oil they aren't greasy and the vodka seems to intensify their flavour. Soak the tomatoes in 3 tablespoons of vodka for an hour then dice them finely. Set aside the vodka. Boil both the brown and wild rice together until tender. I love wild rice but a whole dish of it is a bit too coarse, this mix of brown rice with a large handful of wild rice means you get all the extra texture and flavour that it brings without it becoming too gritty. Drain the boiled rice and set it aside. 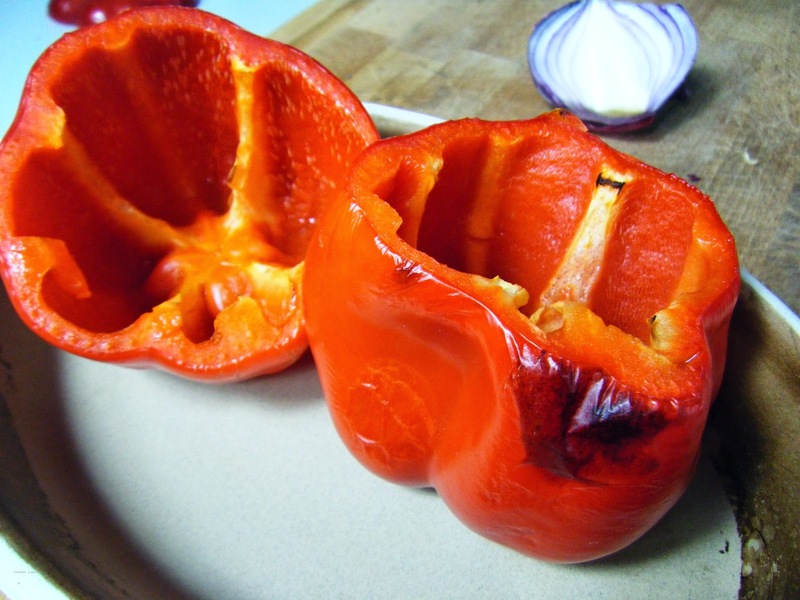 Slice the tops off the red peppers and scoop out the seeds. 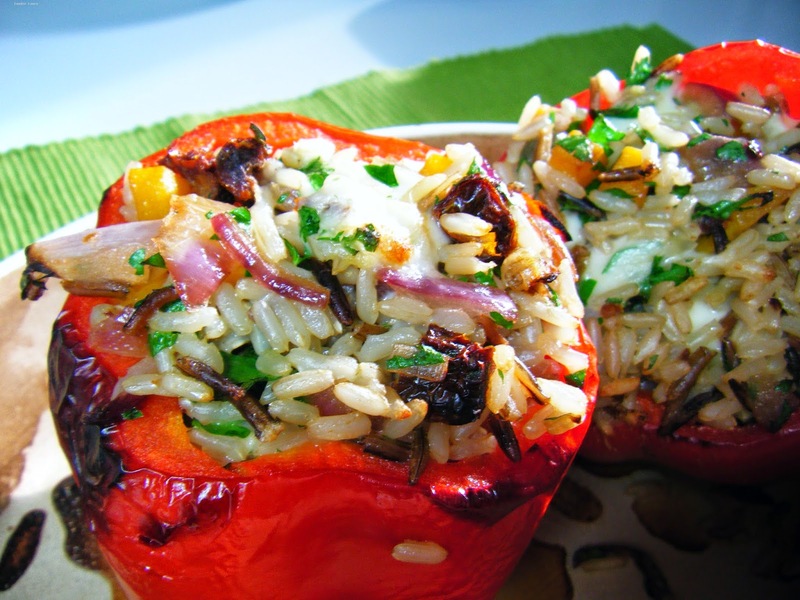 Bake the red peppers in the oven at high heat until the skins start to blacken and blister around the top. You can also blister the skin over a gas stove or with a blow torch. It's best to do it quickly, with a high heat as the flesh of the pepper needs to remain firm until you get the filling in. 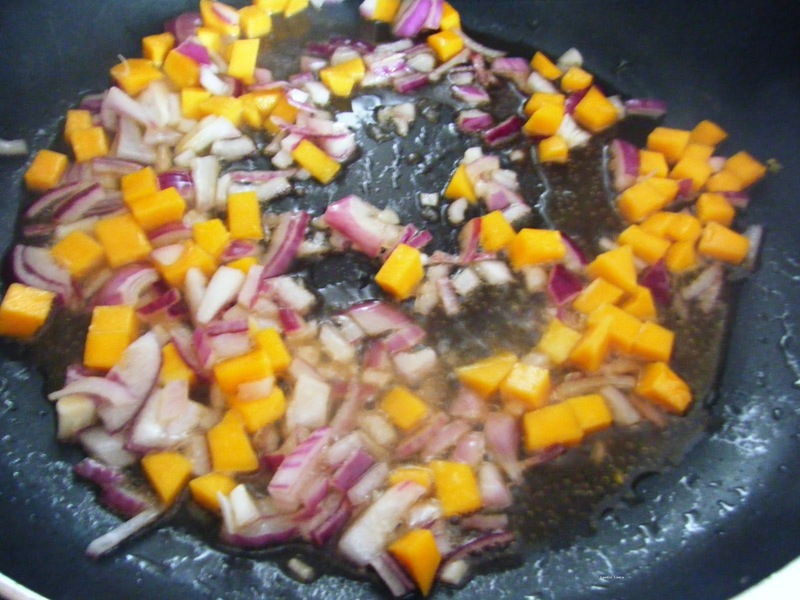 Fry the onion and diced butternut squash in the soaking vodka liquid until softened. 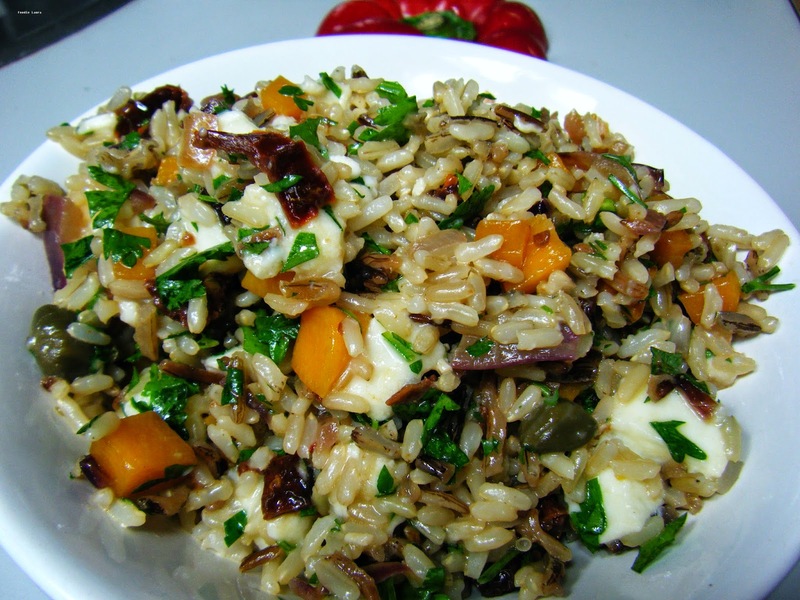 Mix the rice with tomatoes, fried vegetables, capers, shredded mozzarella and diced coriander. Stir the mixture together and spoon it into the peppers. Bake for 15 mins at 175c.